Network gateways join a couple of networks, so the devices on one can communicate with the other. Access to internet is not possible without gateways. It can be implemented completely in hardware, software or a combination of both. Related capabilities include with it are proxy servers and firewalls. The function is same, regardless of what type of network gateway you use. It connects your LAN and other devices on it to the internet. 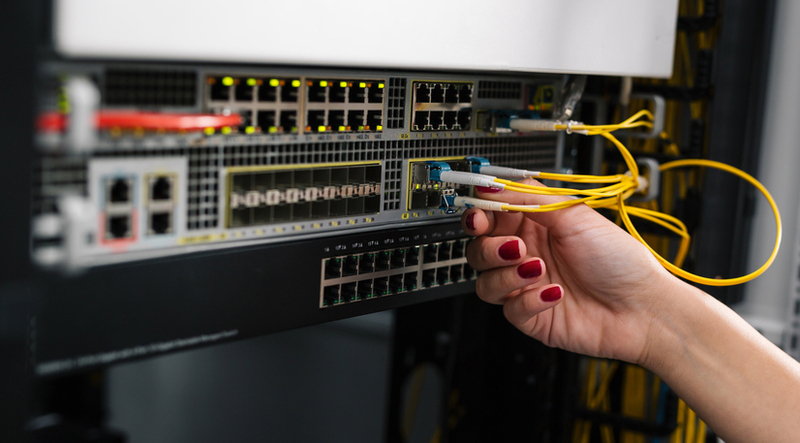 In small businesses and on home networks, a broadband router generally serves as network gateway, being the most important feature of a router. In a few cases, as in a residence using a dial-up internet access, the gateway is a router at the ISP’s location. Some small businesses configure a system to serve as the gateway, rather than using routers. This requires a couple of network adapters- one connected to the internet and the other one to the local network. If you are confused between the terms routers and gateways, here are a few differences that should be highlighted. Both the devices serve the purpose of regulating network traffic between 2 or more networks. This is done by installing at least a couple of network cards into the device, and placing it amid the networks that will be regulated. The process is carried out by linking network card to each individual network. Traffic directed towards local network does not drain onto the Internet. Traffic not directed specifically for your network stays on Internet. For segmenting traffic on corporate networks, routers can also be used, as it is a valuable feature on a big network, when you need to reduce traffic flowing across network. Router can be used to divide the network into sections, thus allowing only specific traffic to flow across the router. On the other hand, a gateway joins dissimilar systems. For instance, a device joining a PC network with a 3270 mainframe environment allows an NT network to communicate with NetWare. Although, it is more commonly used to make communication in dissimilar networks, it can be used for reducing network traffic as well. Routers need to be protected against too much network traffic and data flow. It needs to be secured in such a manner that routing path congestion can be minimized, so several tables should be set up. Gateway security is even more important, since it is the entry and exit point of a network. Gateway equipment and servers should be secured from viruses, as anything passing through will access the internal network. In case one router is congested, you can take that one out, with the others determining possible path to get data. The whole network is down, if you take a gateway out.